In VR (virtual reality), a person interacts with a simulated environment. 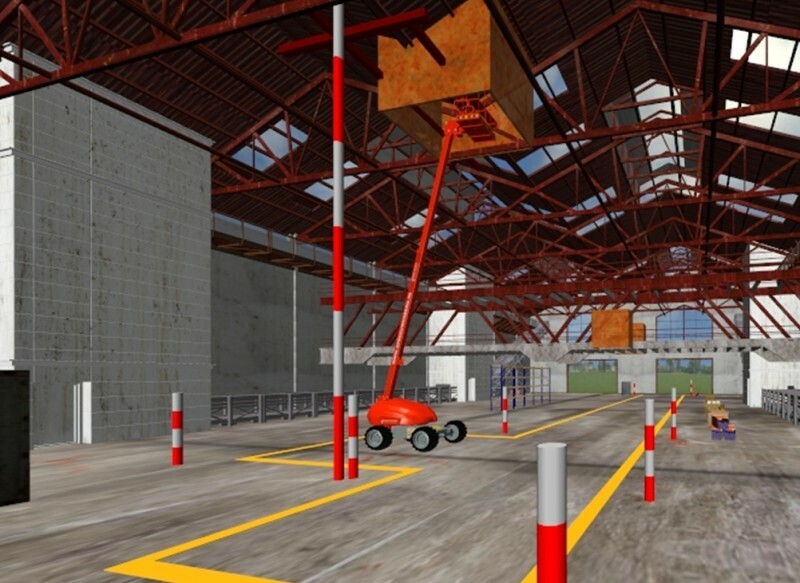 Workers experience realistic interaction with simulated installations, machines and work equipment in a virtual work environment. They are submerged in the virtual environment, absorb information from it through their senses, and respond to this information with actions which in turn change the virtual environment. The workers are able to move parts of their work environment, and to react to the virtual work environment and to the changes in it. They experience the virtual work environment in its natural dimensions as they do so. Sometimes, the terms augmented or mixed reality are used for mixtures of virtual and objective reality. A laboratory is available at the IFA for use of virtual reality and for occupational safety and health.